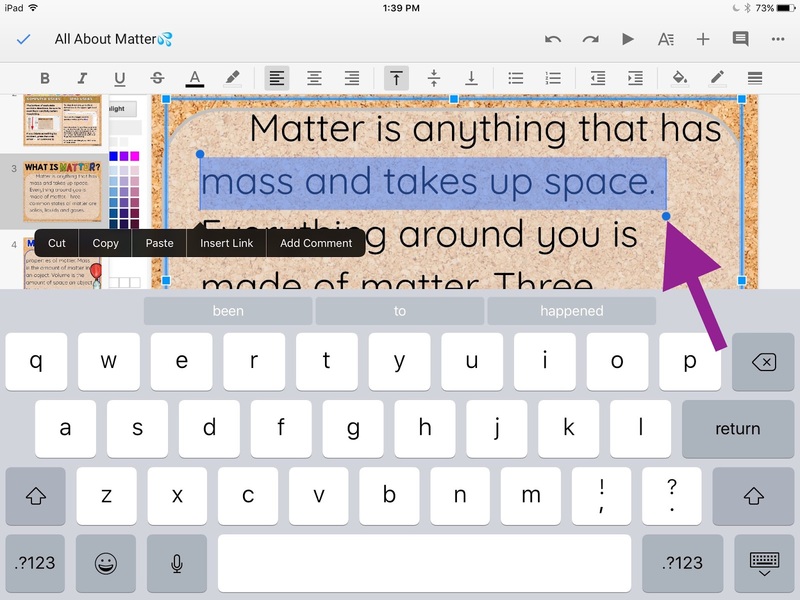 Using Activities in Google Slides™ on an iPad | The Techie Teacher® . 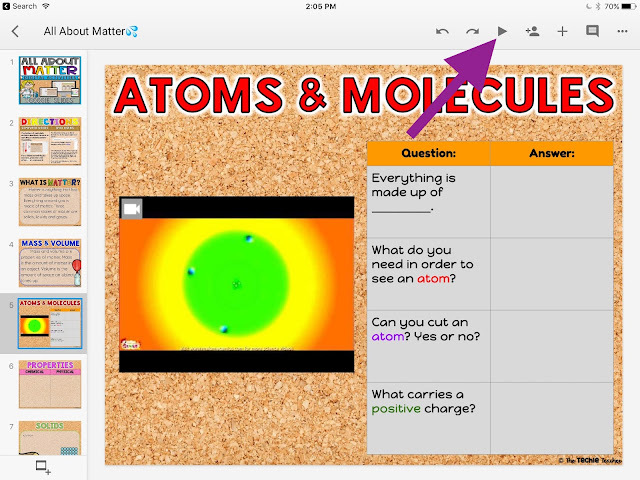 Let's take a look at the differences between using Google Slides™ on a web browser (how we use Google Drive on Chromebooks™, laptops, and computers) vs. using the Google Slides™ app on the iPad®. 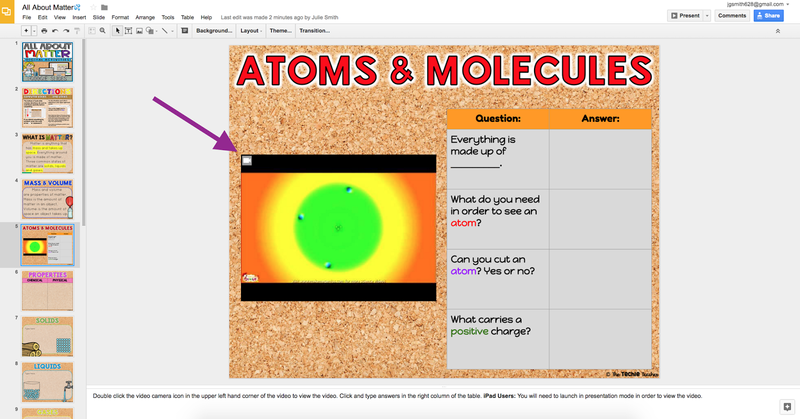 More and more teachers are sharing, finding, purchasing, creating, using and delivering content for students to manipulate and create within Google Slides™. 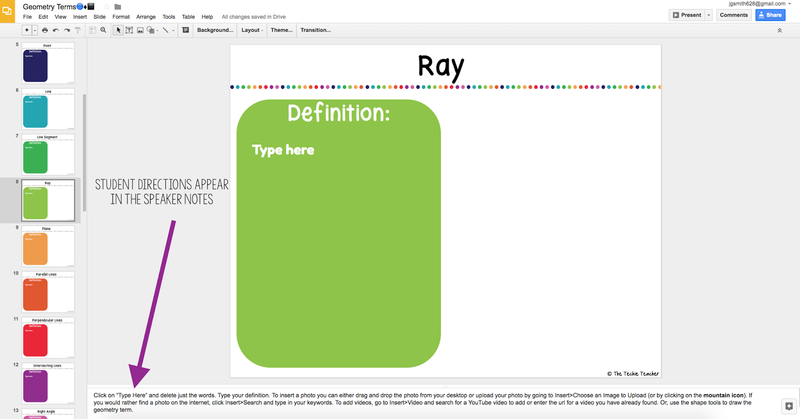 Google Slides™ acts like a freestyle canvas that will allow you to move, change, add, delete and do all sorts of things without dealing with alignment issues. Classrooms are using this as more than just a presentation tool! Anything used and created within Google Drive™ has the ability for others to collaborate together. This is by far my favorite feature of Google! Be sure to check out my 5 Ways to Avoid Disasters When Collaborating in Google Drive post. Therefore, I create a lot of activities for my TeachersPayTeachers Store that utilize Google Suite and many of those activities are created within Slides. 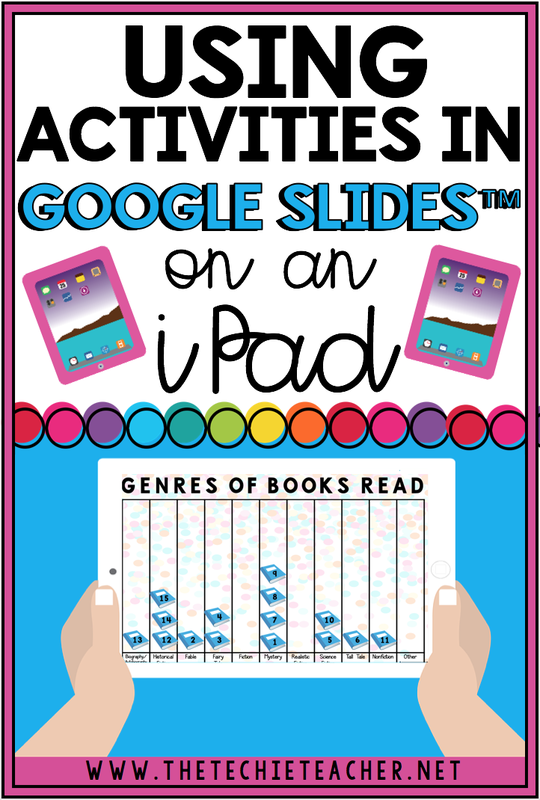 I have received several questions about how Google Slides™ behaves differently when using iPads so let's take a look! It is important to note that you need to download the Google Slides app (not just Google Drive or Google Classroom) in order to access the full functionality when using Google Slides on an iPad. With that being said, the app is missing some key features that you can only get when working in the web browser. 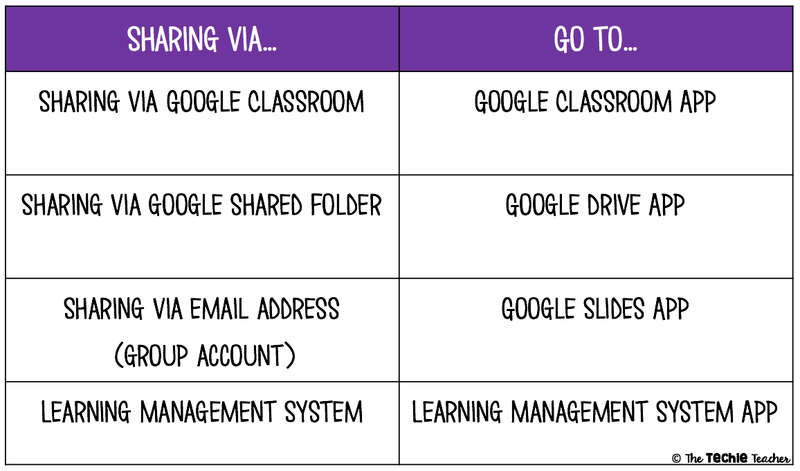 Depending on how you share Google files with students will depend on which app they will need to launch. 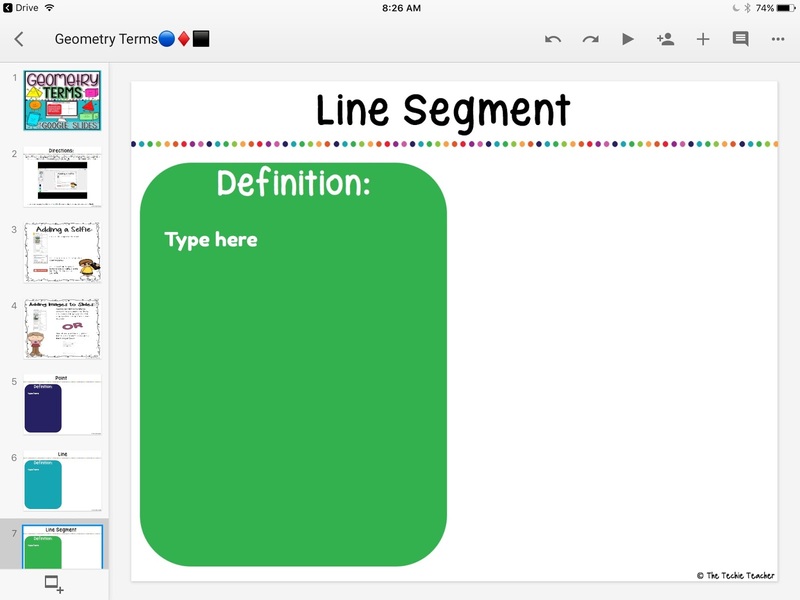 Once students open one of the apps above and select their Google Slides assignment, their assignment will then launch and open in the Google Slides app as long as it is downloaded on their device. I always put student directions in the speaker notes of my Google Slides activities. They automatically appear at the bottom of the slides when using the web. 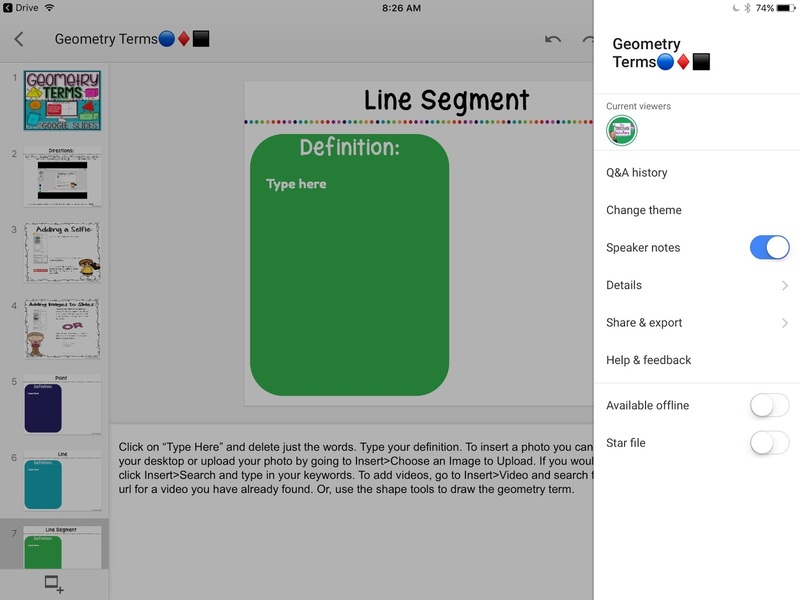 However, when you launch an activity in Google Slides on an iPad, the speaker notes do not appear by default. To turn on the speaker notes, click the three dots in the upper right hand corner. Slide the toggle next to Speaker Notes so it turns blue. However, my Birthday Graph in Google Slides™ activity needed the entire slide to fit 12 columns for each month. Therefore, I decided to put my draggable pieces on the outskirts of the slide. When digital activities have draggable pieces surrounding the slide like in the example below, you will want to pinch the screen to make it smaller so all of the pieces appear. Sometimes when students attempt to drag and drop moveable pieces they resize the image/piece by accident. This happens on the web browser and when working with the Google Slides app. 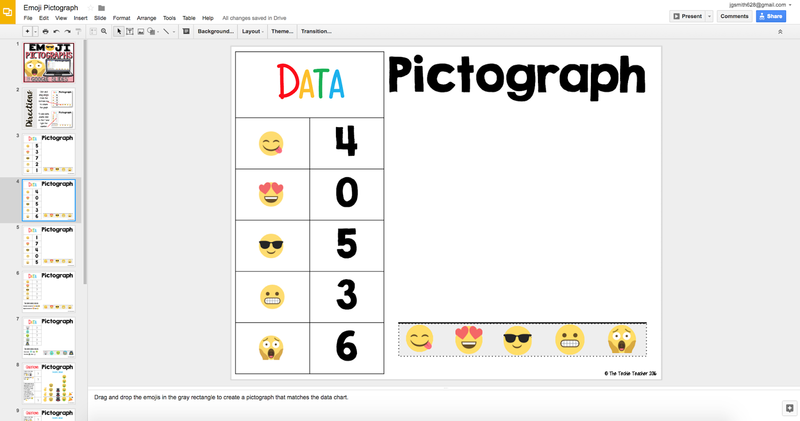 Unfortunately there isn't a way to lock moveable pieces from resizing in Google Slides (yet!). Therefore, teaching students how to UNDO is very important! The back arrow in the toolbar is usually the quickest way for a child to undo their work. 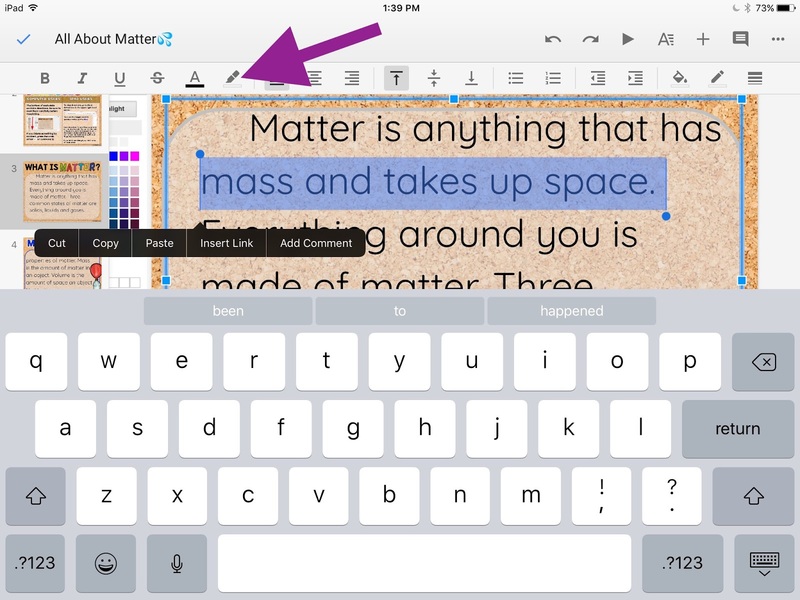 When using iPads, I tell students to first tap the piece they want to move , lift their finger, then tap right in the middle, hold and drag. 5. Select the color from the spectrum and then tap the exact color from the choices below the spectrum. 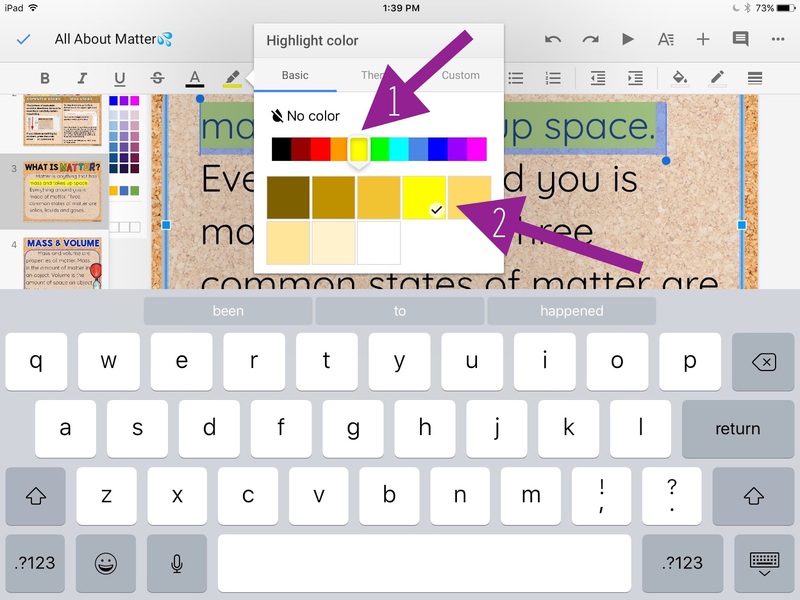 Then tap outside of the highlighter tool to see your highlighted text. You can view embedded YouTube videos in Google Slides when using the web browser without having to launch the presentation in presentation mode. Simply double click the video icon. However, you do have to launch the presentation in presentation mode in order to view a video when working on an iPad. What is the Google Slides App Missing? 2. add the Explore tool for quick and easy research. Any tips/ideas for Kindergarten students being able to actually write with their finger/stylus in Google Classroom?